The Action Bible presents 215 fast-paced narratives in chronological order, making it easier to follow the Bible's historical flow and reinforcing the build-up to its thrilling climax. The stories communicate clearly and forcefully to contemporary readers. This compelling blend of clear writing plus dramatic images offers an appeal that crosses all age boundaries. Sergio Cariello was born in Brazil in 1964 and started drawing as soon as could hold a pencil. At the age of five, he already knew that he wanted to be a cartoonist. And so did everyone else--he drew on church bulletins, napkins, and every surface wtihin his reach. He currently resides in Holiday, Florida. 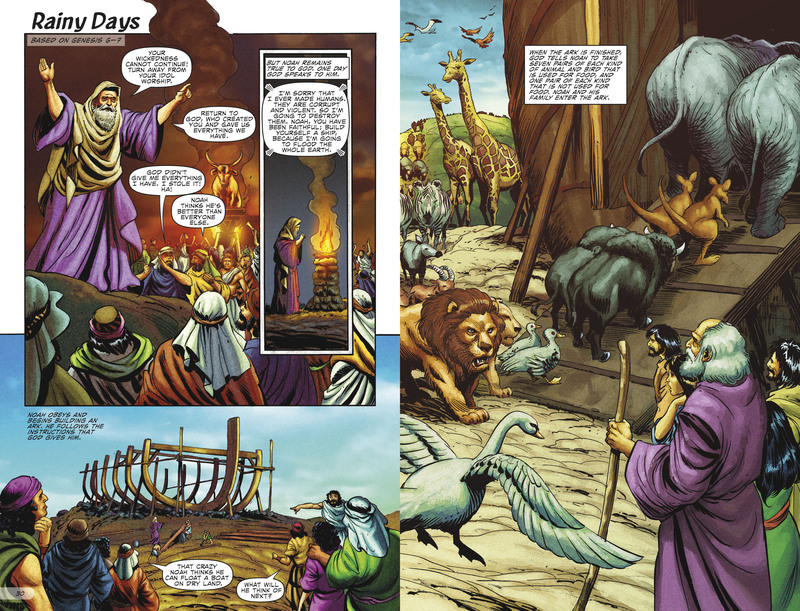 In February, 2006, he was contacted by David C. Cook to gauge his interest in a new project; completely re-illustrating Cook's classic The Picture Bible. What David C. Cook couldn't know is that Sergio had grown up in Brazil with a Portuguese translation of that very same Picture Bible. He was reading the Picture Bible before he learned to ride a bike! Even though he knew as a kid that he wanted to be a comic artist, he never would have dreamed that he would one day get to work on The Picture Bible itself!